Every year, I try to buy Moose something extra special for special occasions. Sadly, he's not very easy to buy for at all, because his biggest interest is gaming and he generally buys anything he really wants himself before I get a chance. He's also not a huge fan of 'stuff', so whenever he actually wants something, it's usually very cool or unusual, which is why I bought him a Diggle plushie last Christmas. Our game at the moment is League of Legends, and merchandise is still pretty thin on the ground, despite it being the biggest online game in the world right now. For a start, Riot hasn't cashed in on the huge phenomenon that is the Poro. Poros are fluffy little balls with huge tongues that bounce around the Howling Abyss map. 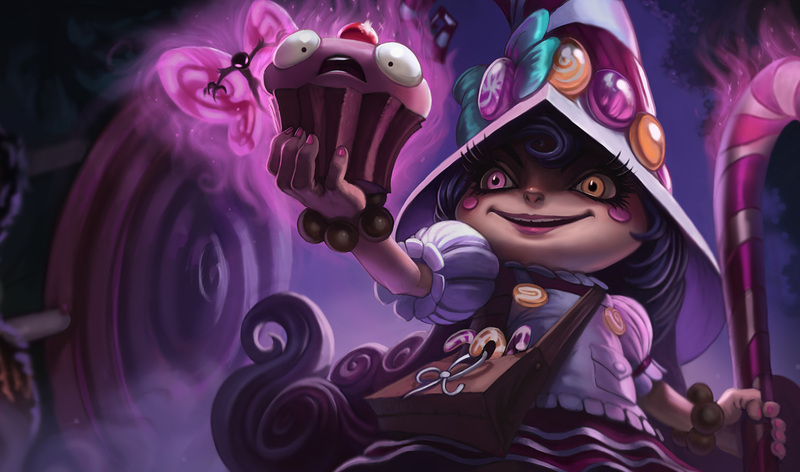 They're adorable and silly and why Riot haven't made official merchandise of them yet is anybody's question. I've had my heart set on making him a Poro for ages. Ideally I wanted to make a life-sized cuddly one, but while sewing skills continue to allude me, I figured I'd go back to basics and buy some Sculpey. I haven't messed around with modelling in years. As a kid, I used to make clay dragons and unicorns all the time (thanks to my family's collection of Enchantica) but it's not something I've really thought much about recently. I'm really happy with my little Poro! I sadly accidentally spoiled the surprise for Moose by flipping through my phone's gallery and showing him a photo before I'd given it to him, though. :( But now he sits pride of place on the PC tower, waiting patiently for a Poro Snax.